Do you ever wish you were...different? Better? Sometimes I do. Sometimes I wish I was gifted differently. Sometimes I wish I was more extroverted, was a more natural leader; or that I was less fearful and had greater confidence. Sometimes I wish I was smarter, that I had an answer to every Spiritual question that anyone asked me--and could put down falsehood with an effortless snap of the finger. Sometimes I look at other Christians and I see their public speaking gifts, their boldness for the faith, their charisma--and I find myself growing jealous. "Why can't I be more like that, Lord? Why can't I be different?" 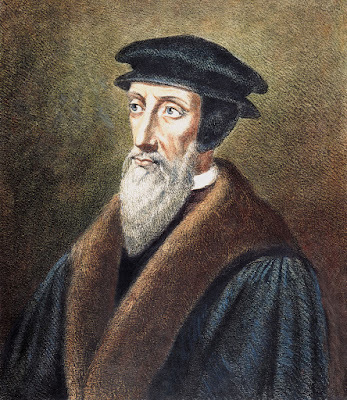 The other day, I ran across someone who said something along the lines of: "we should not to listen to the Calvins, the Luthers, the Augustines...etc.--when we have the Bible as the perfect and inerrant Word of God. 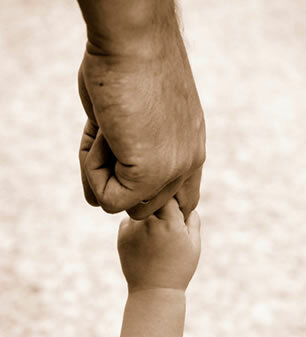 Man is prone to error, God's Word is all we need." And as someone who has found much value in the Christians who have gone before us, this prompted me to ask the question: At what point does our love for the very rich Christian history and the "developments, or applications of the Word of God over the course of time" become misguided? Is this not what the Catholics do? They let their love for tradition and the role of the church replace and add to the Word of God. They view the church's interpretation as the final authority, the church's later councils and subsequent statements as authoritative. 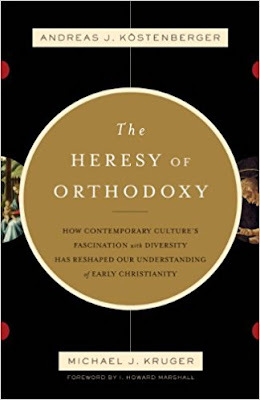 Book in Review: "The Heresy of Orthodoxy"
While the majority of objections to Christianity are to its morality and exclusive claims, there is an intellectual minority that seeks to undermine the Biblical authenticity on a more textual and historical basis. We need to be prepared to answer both of those objections. Growing up in the church, I was taught relatively nothing about the transmission process of the Biblical texts or even how certain New Testament books were eventually canonized. But it is no longer enough to just know 2 Timothy 3:16 anymore. It is no longer enough to believe the Bible is true, "for the Bible tells me so." We need to know why we believe 2 Timothy 3:16 to be Scripture in the first place. C. S. Lewis once said, “Good philosophy must exist, if for no other reason, because bad philosophy needs to be answered.” We need to be aware of the good philosophy of how we got the Bible and why we believe it to be authentic, because of the modern assaults on it today. 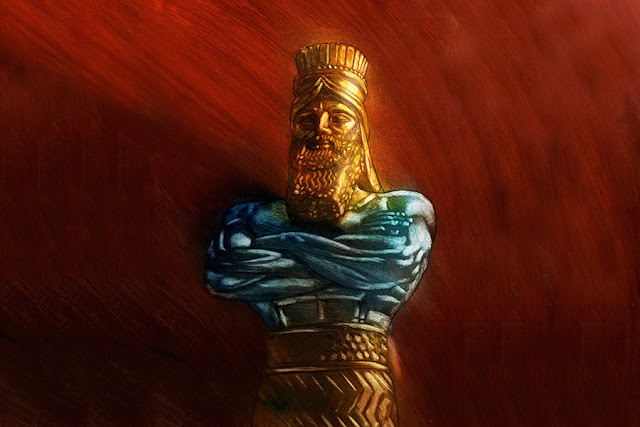 In Daniel 3 Nebuchadnezzar constructed a brilliant golden image for the people to bow down before in worship. Those who refused to do so when the music played were given the threat of a fiery death in the furnace. You remember the story.